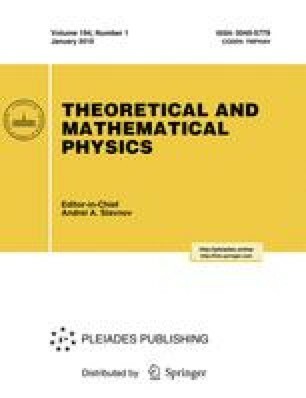 q-Discrete versions of the two-dimensional Toda molecule equation and the two-dimensional Toda lattice equation are proposed through the direct method. The Bäcklund transformation and the Lax pair of the former are obtained. Moreover, the reduction to theq-discrete cylindrical Toda equations is also discussed. Department of Electronical Engeneering, Doshisha University, Kyoto 610-03, Japan. Research Institute for Mathematical Sciences, Kyoto University, Kyoto 606, Japan. (On leave from Department of Applied Mathematics, Faculty of Engineering, Hiroshima University.) Department of Mathematical Sciences, University of Tokyo, 3-8-1 Komaba, Meguro-ku, Tokyo 153, Japan. Translated from Teoreticheskaya i Matematicheskaya Fizika, Vol. 99, No. 3, pp. 390–398, June, 1994.